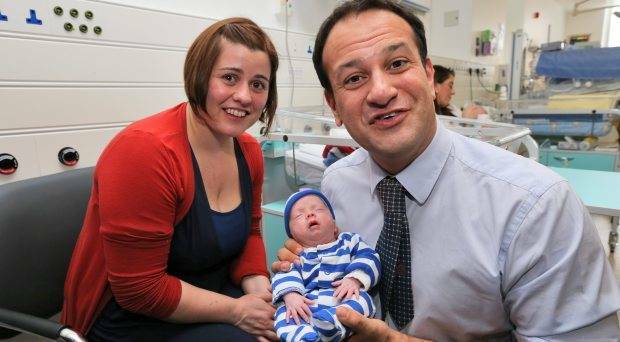 Minister Varadkar today opened the new Neonatal Intensive Care Unit at the National Maternity Hospital (NMH), Holles Street, Dublin, which will cater for some of the sickest infants and most complex cases from across Ireland. The unit was built with €6 million of taxpayers’ money and will allow the most serious cases to be treated in a single location. Staff will be able to build on their clinical experience and deliver the highest possible standard of care. The NMH is a national tertiary referral facility, receiving babies from all over Ireland. Minister Varadkar said: “Holles Street is right to be proud of its new Neonatal Intensive Care Unit. This state-of-the-art facility was funded with a substantial investment of €6 million. It offers a wide range of facilities, including a central station for monitoring babies, vital equipment, dedicated isolation rooms, and double clinical space around each incubator. Minister Varadkar paid tribute to the work of the staff at Holles Street, where almost 10,000 babies are born every year. The hospital also provides treatment for critically ill babies who are transported to Holles Street from other hospitals by a dedicated team operating as part of the National Neonatal Retrieval Service.